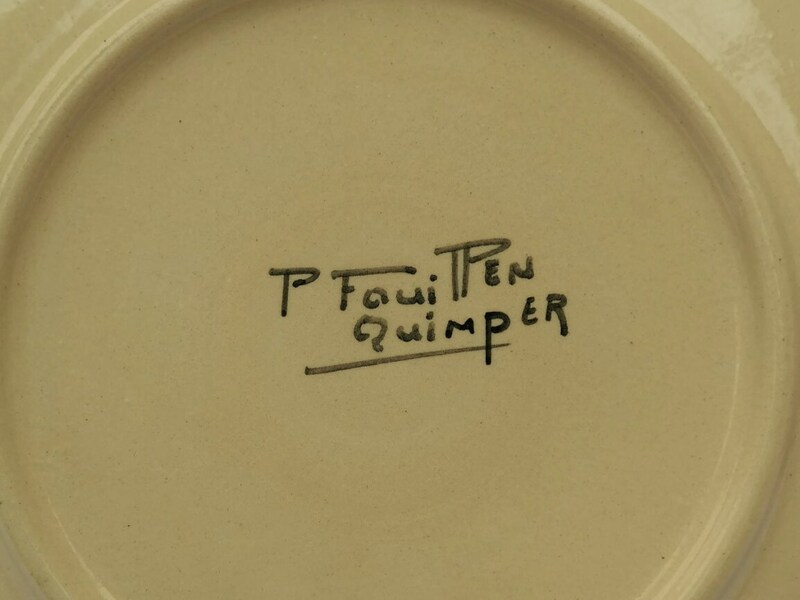 A magnificent Quimper cake plates and platter set by Paul Fouillen, one of the most renowned Quimper ceramic artists. 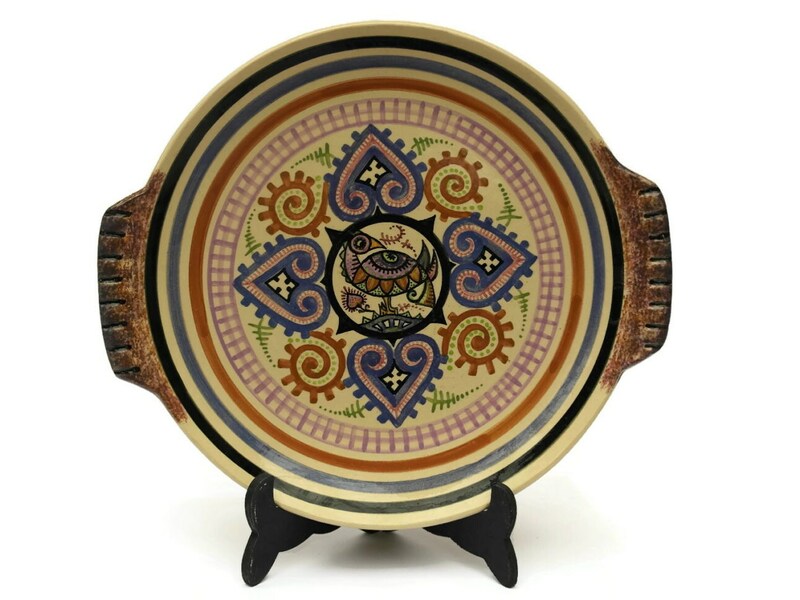 It dates to the 1940s and features the iconic style of Fouillen who introduced a charming modernism to the traditional Breton French faience. 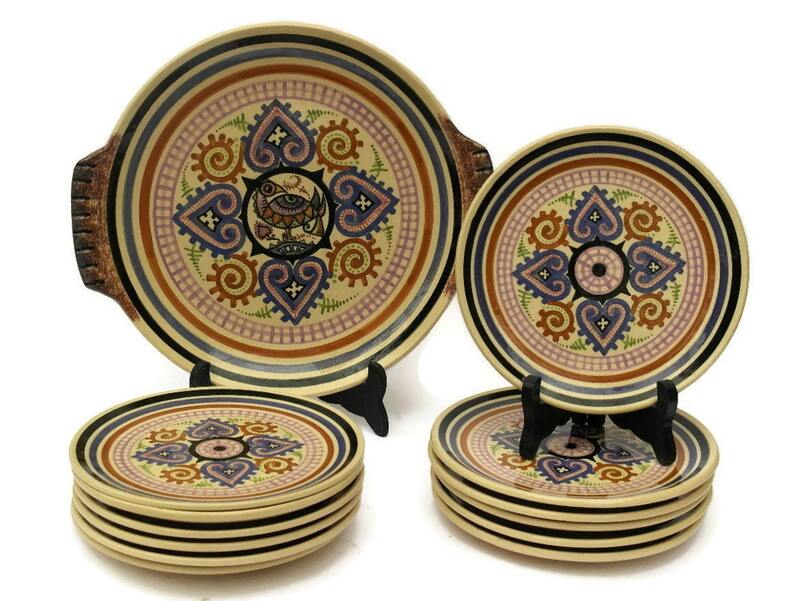 The set includes a large cake stand and 12 cake plates. 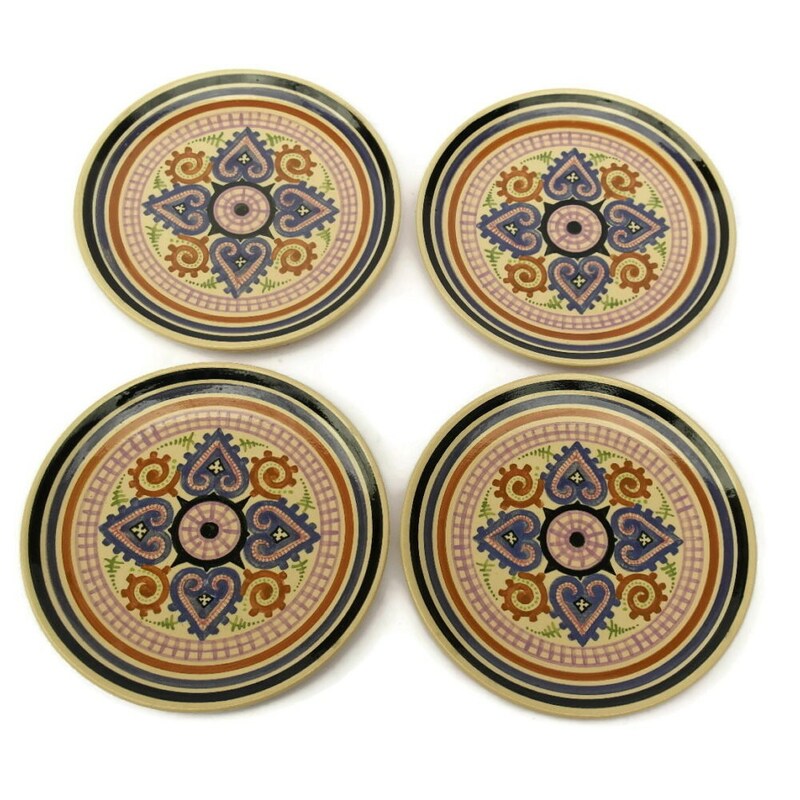 Each has been hand decorated with folk-art- style motifs in a palette of colors which perfectly represent the era. All pieces have been hand signed on the underside. Cake platter: 12" in diameter (30 cm). 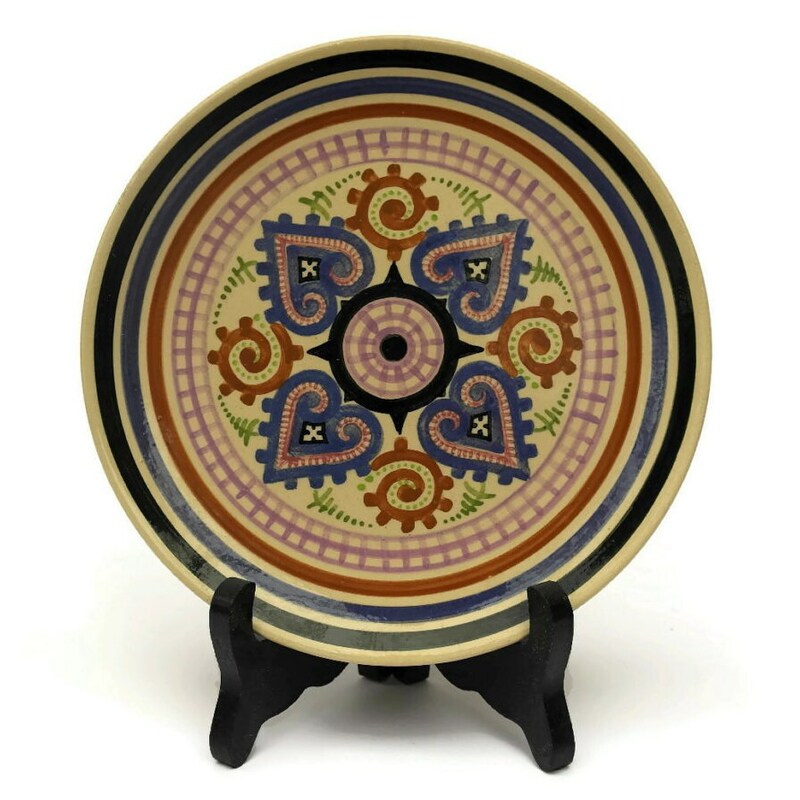 Cake plates: 7" in diameter (18 cm).